Characters Meowstic Male / Female & Espurr belongs to Pokémon, Nintendo. She has a real reason this time! 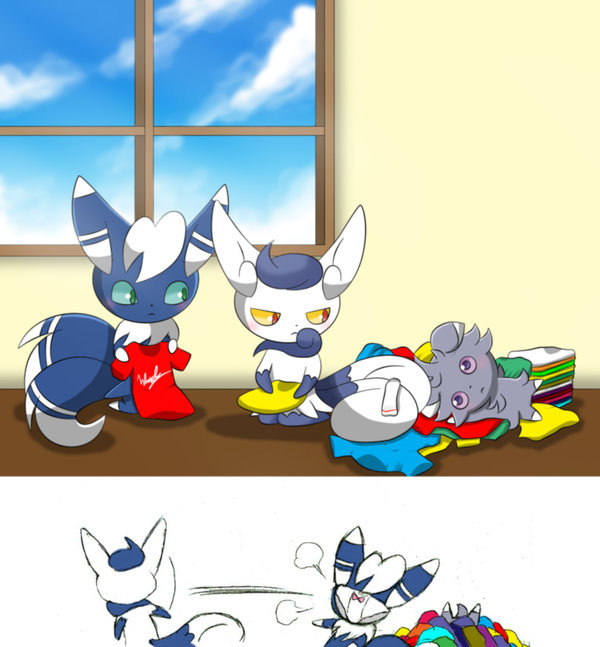 Naughty Espurr jumping in the clean, folded clothes! She has a real reason this time! Naughty Espurr jumping in the clean, folded clothes! suddenly pantsus in the face. So wait, why do they have laundry? They're all naked.